In a very short distance you can find restaurants, "trattorie", "enoteche" where you can taste all excellent italian food. 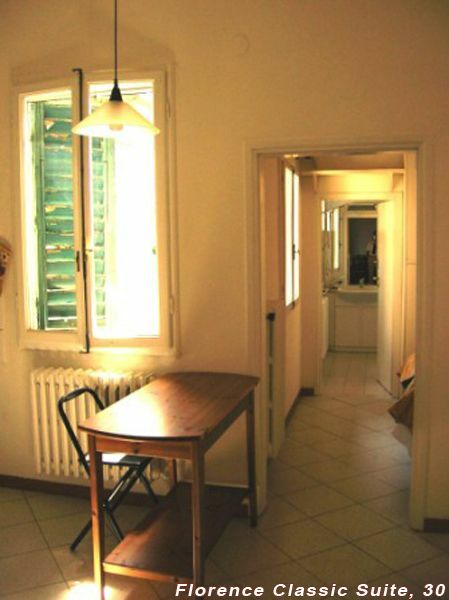 Less than 200 metres from Santa Maria Novella railway station. 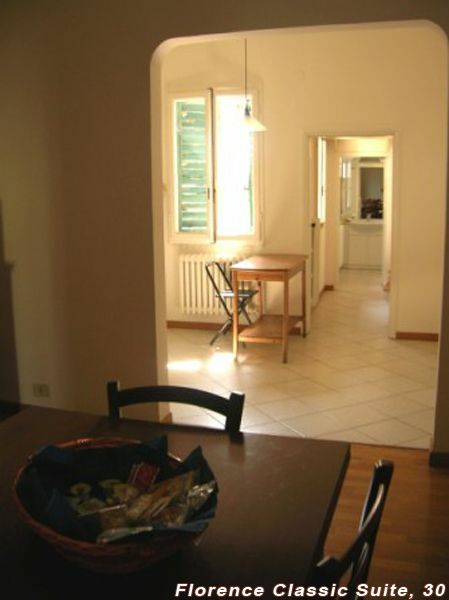 Very close also to Santa Maria Novella square, San Giovanni square (Duomo) and all main streets of Florentine shopping. The Suite is provided with a wide double room with ceiling fan; a big dining room with a double sofa bed, tv, CD player. 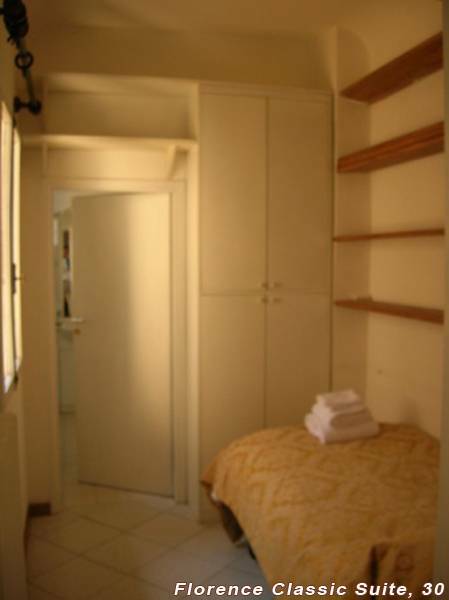 A fully furnished kitchen with breakfast corner and a small single room that takes to the bathroom. Florentine building. Fourth floor with nolift. Composed of a one double bedroom and also there is a double sofa bed in the livingroom and a single bed. The area is surrounded by restaurants, shops, wine bars and markets.